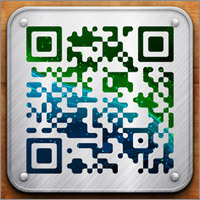 QR Codes can trigger various scanning actions on the QR Code reader software. You can now create funky Custom QR Codes with our enhanced Generator, which allows you to add Background and Foreground Colors, upload your Company Logo and modify the Shape of the QR Code using our bespoke Generator. Register to get our Basic Tracking package - it is FREE for both Personal and Commercial usage! 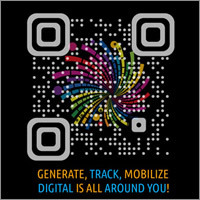 With this package you can generate Dynamic QR Codes and track up to 10 QR Codes FREE! If you need to change the URL later (Dynamic QR Code) or you need to have Tracking (visits & stats) please REGISTER - it is FREE! You can set a foreground color or a foreground image. If you upload an image it will appear only on the raster formats (PNG, GIF, JPG). You can set a background color or a background image. If you upload an image it will appear only on the raster formats (PNG, GIF, JPG). Blur the code: Very soft blur can be applied on certain shapes. Blur will be turned off when image is applied as foreground or background. Error correction: Low Medium-Low Medium-High High The higher the error correction the bigger the code will be. Choose higher error correction if the QR code will be customized or used on a place where it can get dirty. Block size: 1 2 3 4 5 6 7 8 9 10 11 12 13 14 15 16 17 18 19 20 21 22 23 24 25 26 27 28 29 30 31 32 33 34 35 36 37 38 39 40 41 42 43 44 45 46 47 48 49 50 51 52 53 54 55 56 57 58 59 60 61 62 63 64 65 66 67 68 69 70 71 72 73 74 75 76 77 78 79 80 81 82 83 84 85 86 87 88 89 90 91 92 93 94 95 96 97 98 99 100 101 102 103 104 105 106 107 108 109 110 111 112 113 114 115 116 117 118 119 120 121 122 123 124 125 126 127 128 129 130 131 132 133 134 135 136 137 138 139 140 141 142 143 144 145 146 147 148 149 150 This is the size of on square block in pixels. Border size: 1 2 3 4 5 6 7 8 9 10 What should be the space between the QR code itself and the end of the image measured in square blocks. 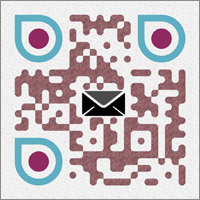 You can upload a logo that will be embedded in the QR code. We strongly recommend to upload logo with transparent background (png & gif support transparency) or background that matches the QR code background color. 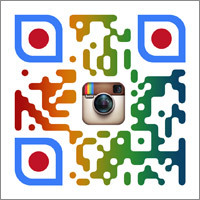 The system will automatically resize the logo as needed to fit in the QR code. Only raster formats (png, jpg, gif) are supported. 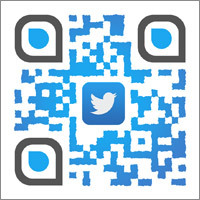 The logo can be also overlaid over the central part of the QR code without the blocks being cleared. 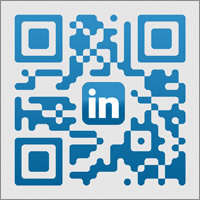 Embed Logo: You can upload a logo that will be embedded in the QR code. We strongly recommend to upload images with transparent background. Only raster formats (png, jpg, gif) are supported. Overlay the Logo: If the box it ticked the logo will be overlaid over the QR code instead of embedded. 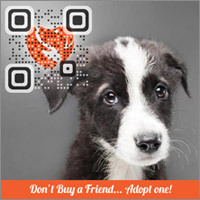 Every QR Code isn't necessarily readable. Test it before using it!